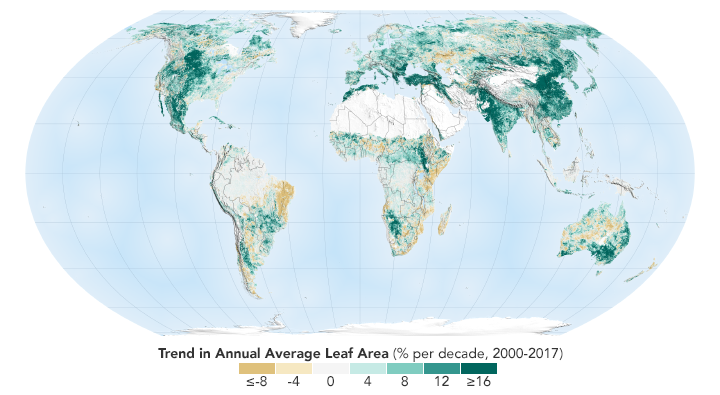 The world is literally a greener place than it was twenty years ago, and data from NASA satellites has revealed a counterintuitive source for much of this new foliage. 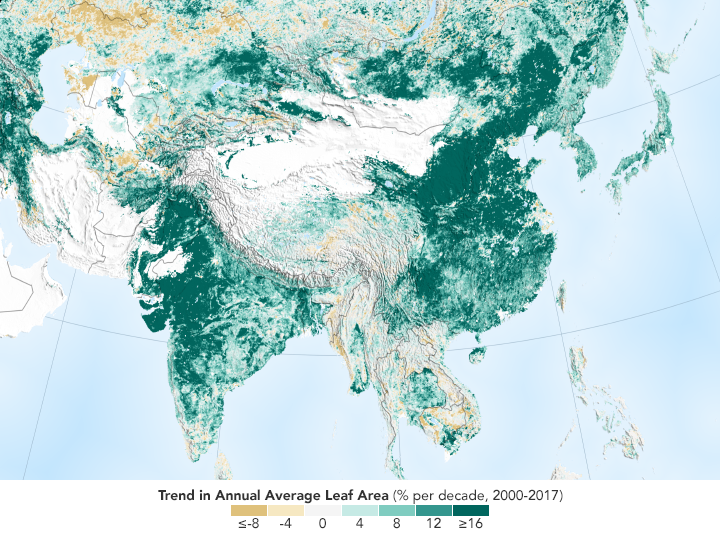 A new study shows that China and India—the world’s most populous countries—are leading the increase in greening on land. 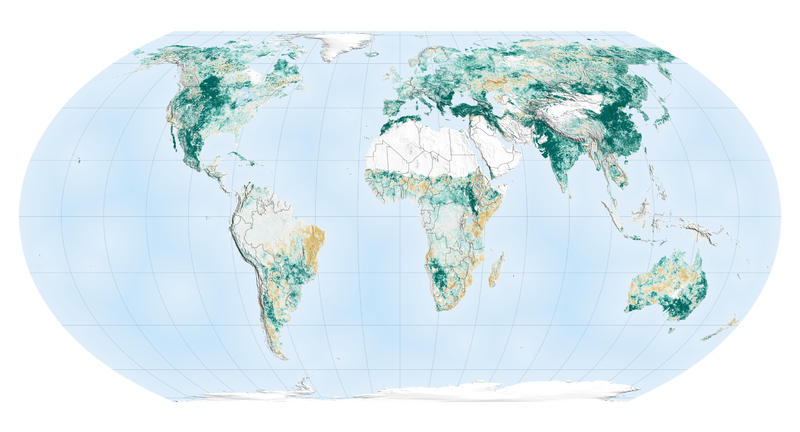 The effect comes mostly from ambitious tree-planting programs in China and intensive agriculture in both countries. Another 32 percent of the greening change in China, and 82 percent in India, comes from intensive cultivation of food crops. 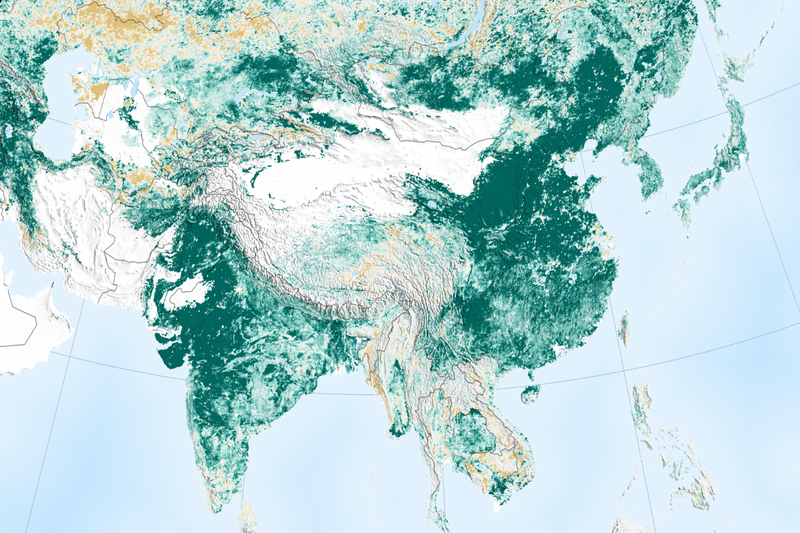 The land area used to grow crops in China and India has not changed much since the early 2000s. Yet both countries have greatly increased both their annual total green leaf area and their food production in order to feed their large populations. The agricultural greening was achieved through multiple cropping practices, whereby a field is replanted to produce another harvest several times a year. Production of grains, vegetables, fruits and more have increased by 35 to 40 percent since 2000. How the greening trend may change in the future depends on numerous factors. 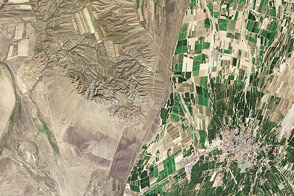 For example, increased food production in India is facilitated by groundwater irrigation. 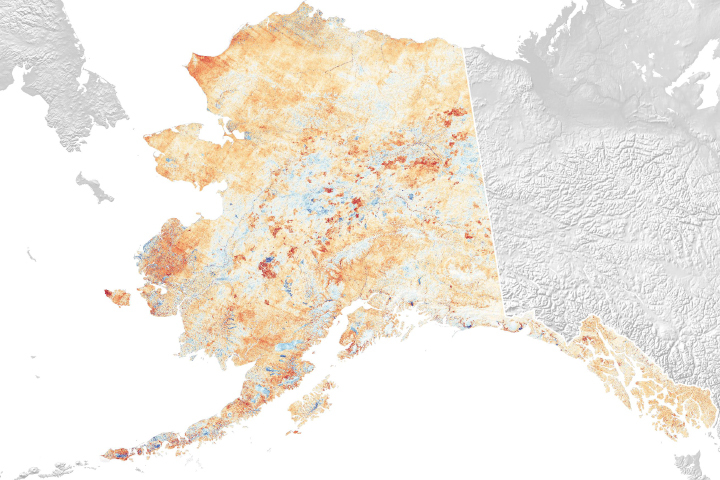 If the groundwater is depleted, this trend may change. The researchers also pointed out that the gain in greenness around the world does not necessarily offset the loss of natural vegetation in tropical regions such as Brazil and Indonesia. There are consequences for sustainability and biodiversity in those ecosystems beyond the simple greenness of the landscape. 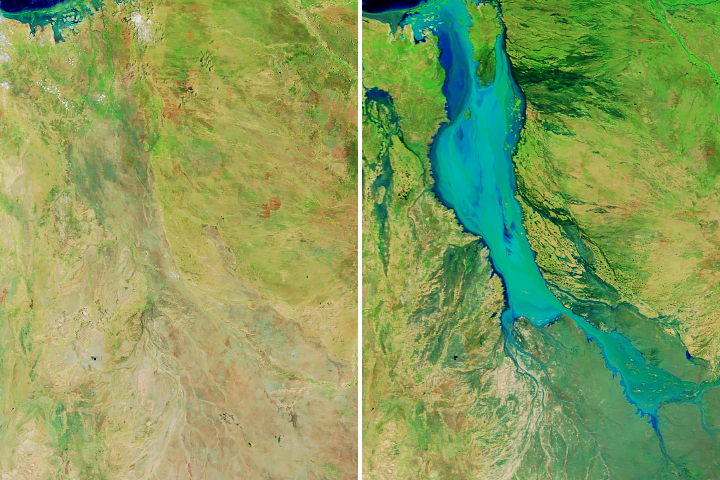 NASA Earth Observatory images by Joshua Stevens, using data courtesy of Chen et al., (2019). 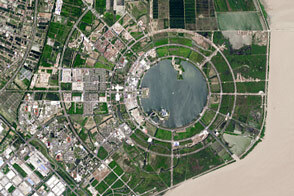 Story by Abby Tabor, NASA Ames Research Center, with Mike Carlowicz, Earth Observatory. Chen et al. 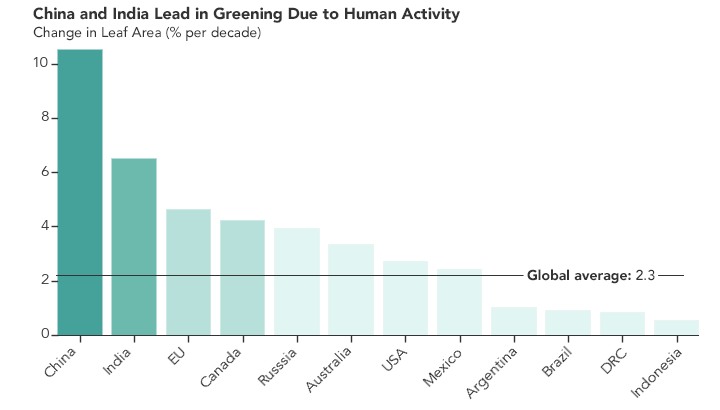 (2019) China and India lead in greening of the world through land-use management. Nature Sustainability , (2) 122–129.